We have an answer for everything. Babies bring loads of love (and laundry) into our lives, but – oh, baby – these little bundles of joy can be messy. Whether you’re dealing with diaper leaks, spit up, or breast milk, we know just how to handle these not-so-sweet moments. Apply product(s): Apply Stain Solution directly to the affected area. 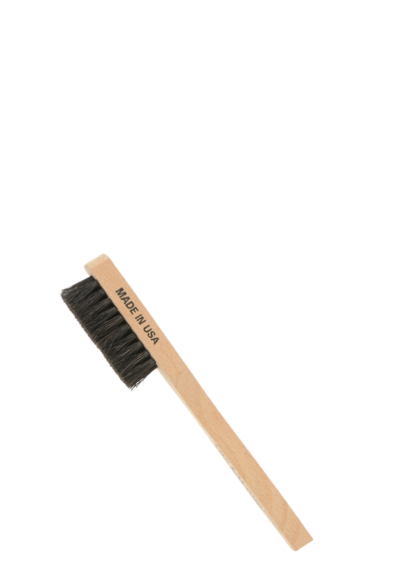 Work the stain: Work the solution into the fabric using your finger or our Stain Brush..
Pour water on the stain: For added cleaning power, put the affected area under the faucet and let the pressure of the cool to warm water help work the stain. Reapply or repeat as needed: If the stain is not completely gone, repeat this process until satisfied. For urine stains and odor: Stains and odor often go hand in hand. 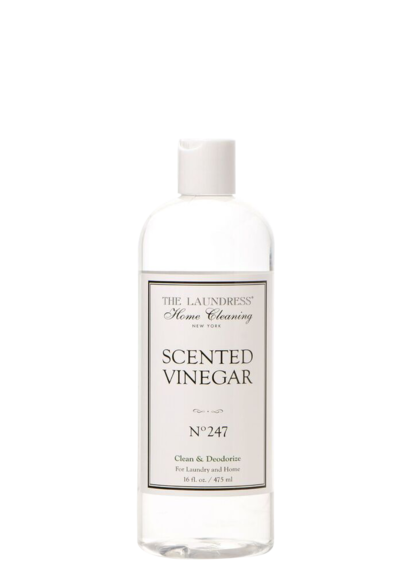 Soak the item in a basin of cool to warm water mixed with ¼ cup of Scented Vinegar.. This will help break up the uric acid to remove the odor. (When treating bloodstains, always use cold water.) Never soak wool for longer than 30 minutes. Launder the item: Wash according to our instructions. 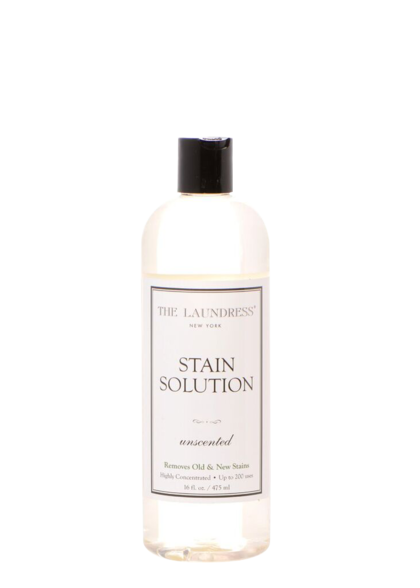 Our recommended stain and odor removal methods are solely intended for use with The Laundress products. Our products are safe for colors, darks, and whites. We cannot guarantee the safety or success of products from other brands. We don’t recommend using chlorine bleach on stains or odors, ever.